When he died in October 1934, The Ridgefield Press called the Rev. 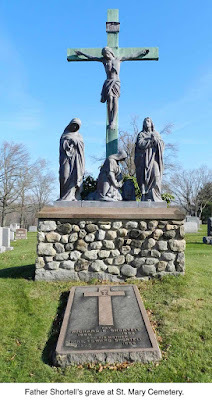 Richard Edward Shortell “one of the most beloved priests in the State of Connecticut.” The St. Mary’s pastor was so popular that, for years, babies were named Richard Edward in his honor — among them, former selectman, postmaster and town historian, Richard E. Venus. Born in 1860, Father Shortell came to Ridgefield in 1893 and led St. Mary’s Parish for 41 years. It was in the days when a clergyman could spend nearly an entire career at one parish. “With his coming to Ridgefield, St. Mary’s Church seemed to grow and prosper,” The Press said. building later became the Ridgefield Thrift Shop. He built the current church in 1896, a rectory (since torn down) and clubhouse across from the church. The clubhouse was for many years the headquarters of the local chapter of the Knights of Columbus, which he also founded. But he was not just a pastor, but also an influential citizen of the town who served for many years on the Board of Education, “contributing incalculable services to the public school system here,” The Press said. As early as 1927, he was promoting the benefits of zoning (which wasn’t adopted until 1946). Town officials, whether Catholic or not, would often seek his advice, and the newspaper once reported that early in the 20th Century, the three men considered the “powers” of the town used to meet regularly in the back of Bissell’s Drug Store to discuss town affairs: H.P. Bissell himself, Dr. R.W. Lowe, the town doctor, and Father Shortell. 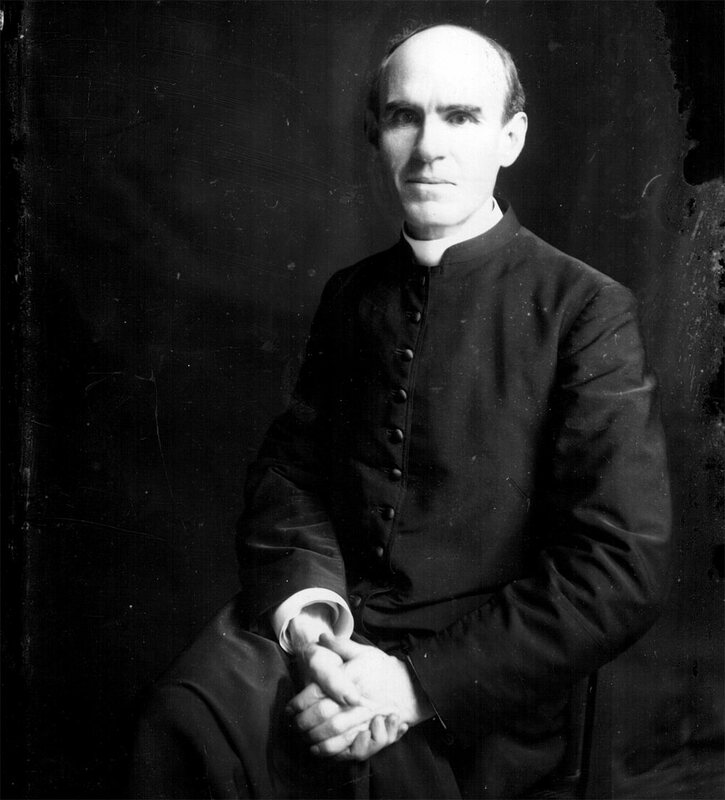 In 1918, Father Shortell quashed efforts to give him a 25th anniversary party. But when he reached 30 years in 1923, parishioners took matters into their own hands and had a surprise party at which “the largest crowd of Catholics ever seen in St. Mary’s Hall assembled” and gave him not only a grand party, but a brand new Cadillac Coupe. 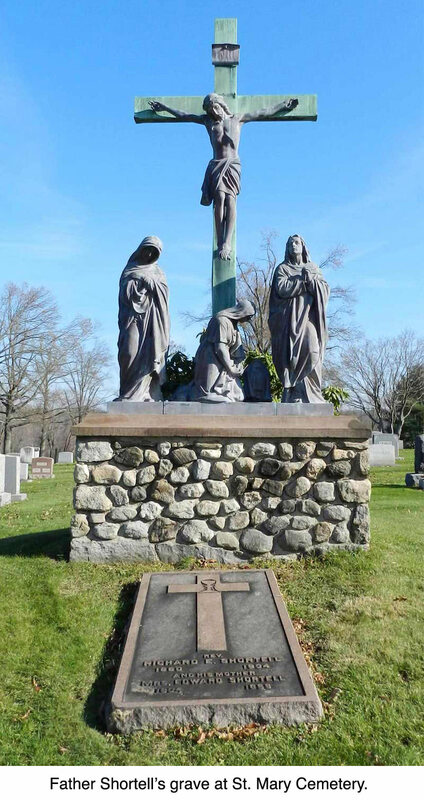 Father Shortell died in 1934 and is buried in St. Mary Cemetery, next to his mother.